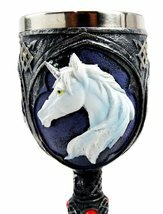 Top-Rated Selleratlantic_collectible consistently earns high ratings from buyers thanks to fast shipping and excellent service. Premium Selleratlantic_collectible has been a Platinum member on Bonanza since April 19, 2017. No returns will be accepted without prior authorization from us .We cannot accept returns for the following items: -Any item with no original box. -Any item that has been used. We are not responsible for the shipping of items back to our warehouse if the return is not due to our fault. We will only give credit for merchandise received based on original claim made. Damaged and Shortage Claims We will ensure the best quality of products to be shipped to our customers. All orders are scanned and checked to make sure orders are fulfilled correctly. Please inspect all merchandise carefully for any damages or defects upon receipt of item. Any damages or defective products should be reported within 14 days upon receipt of order. Failure to do so within the time specified may result in forfeiture of credit for damaged/defective items. Incorrect items will only be refunded if it is due to our error. 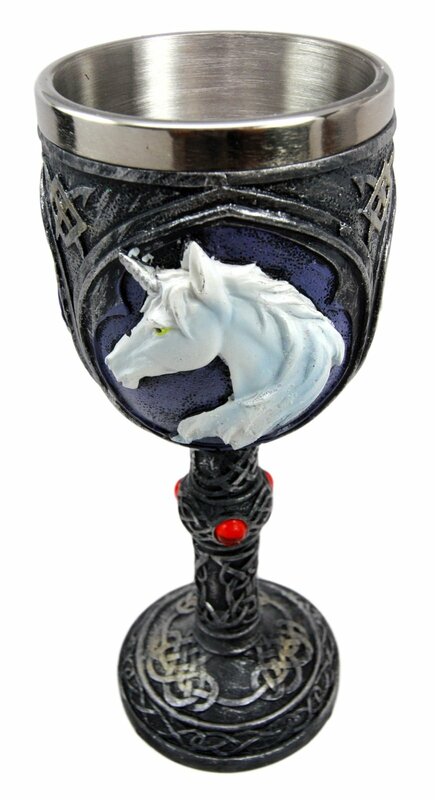 This beautiful unicorn goblet is an exotic work of art. 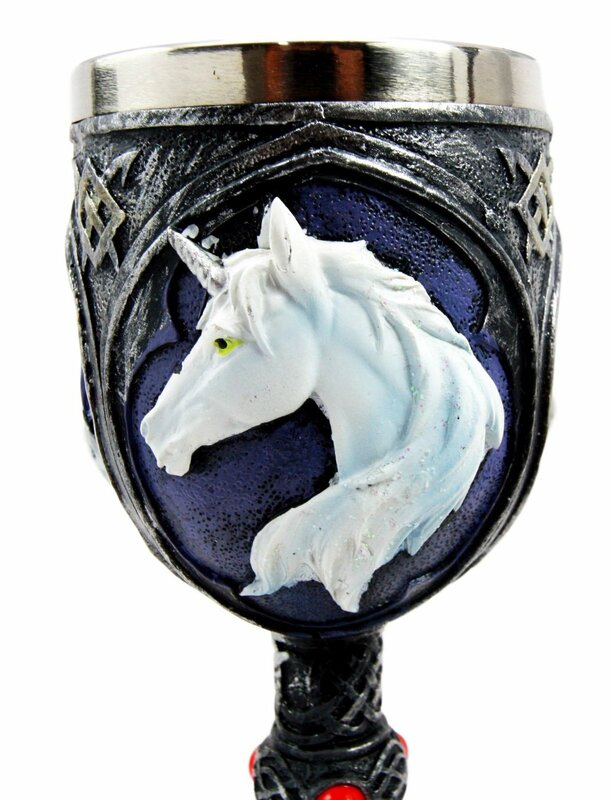 Our painters bring out the goblet with nice hues of white, purple and other colors on a faux stone background, giving it a nice medieval fantasy look. 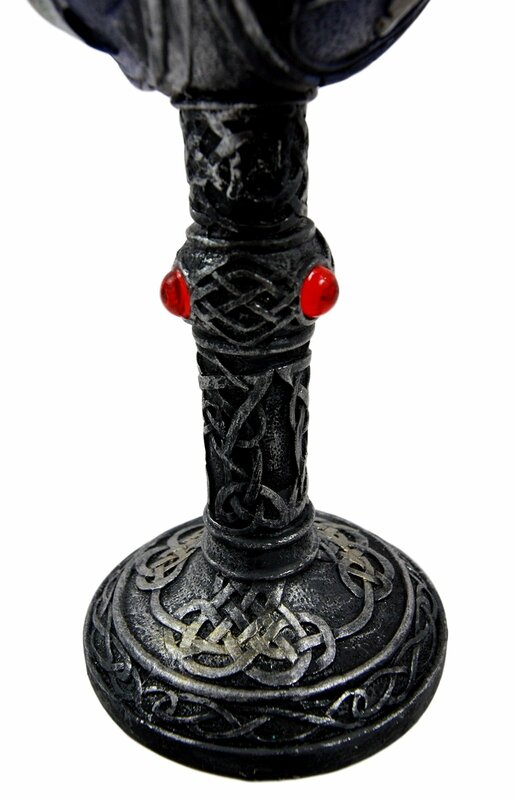 We offer this quality goblet to you at the best price anywhere online!